As a child I used to frequent the local railway station and watch all the activity of the trains. 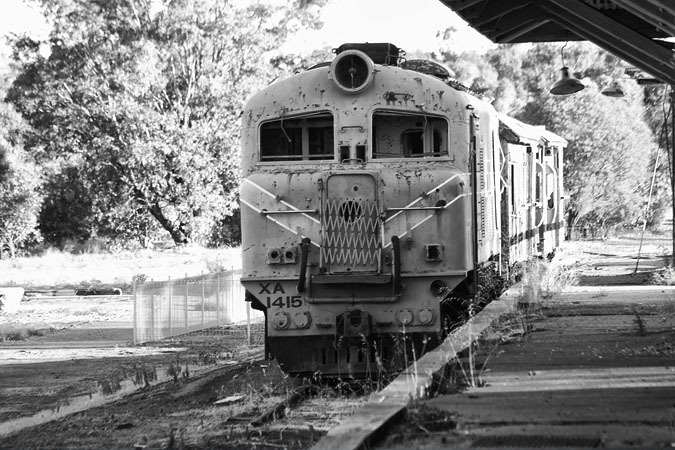 Now there are very few trains and this old girl rests here as a remnant of days gone bye. Having turned 4 yesterday, it was time for Rebekah to have her next round of Immunisation Needles. 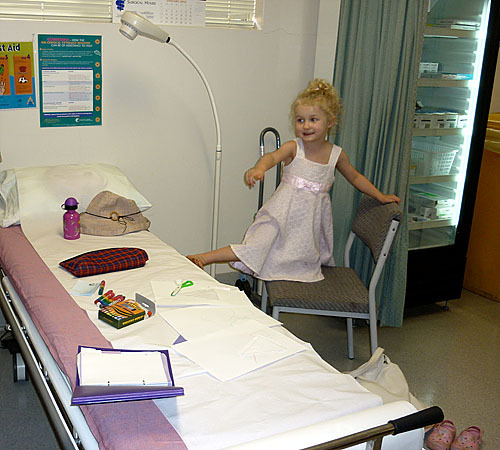 The nurse involved her with little activities and assessments before the dreaded needles and as you can see in the photo, she was having a lot of fun. The injections were no fun however and she actually pulled the first needle out of her leg before the nurse had a chance to administer the injection. Brenda and I had to hold her down in the midst of very loud screams (a parent’s worst job) while the injections took place. It was certainly a job I did not enjoy. Anyway, it is 8 years before her next lot of needles and I am sure she won’t need me to restrain her then. 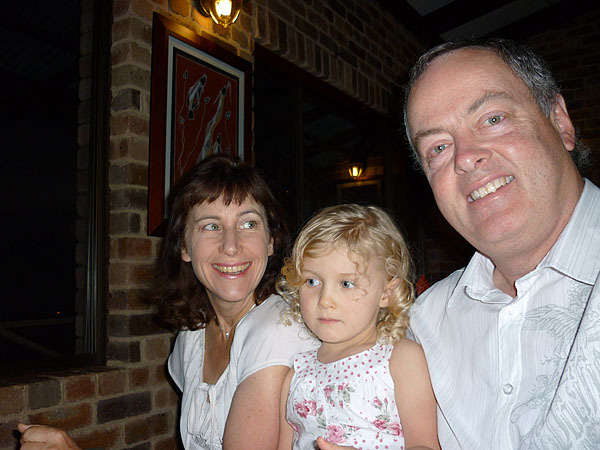 Today my little girl turned 4 and Brenda organised a great party for family and friends. 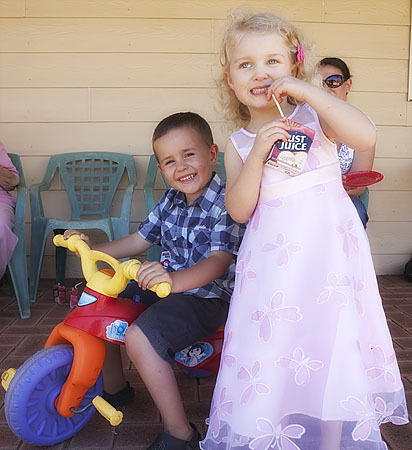 Rebekah is pictured here with Sam who was born less than a week after her. One of the greatest rewards of undertaking this Photo A Day project is I will finish the year with a pictorial diary of the year. 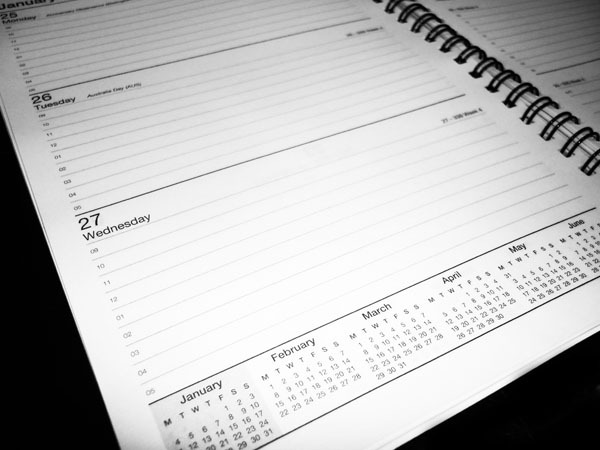 This will be in stark contrast to many diaries that will probably have many blank pages like the one pictured and leave unanswered questions at the end of the year. 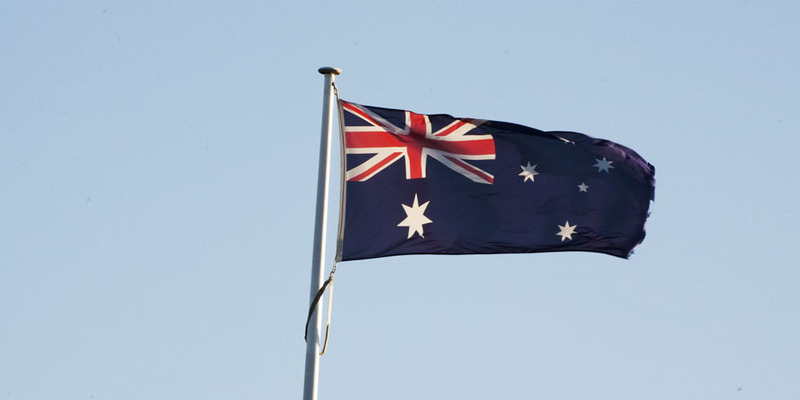 Australia Day has in recent years stirred many debates and this year was no exception with the idea of changing our flag. It is true that there has been a shift from the importance of the British in our Country’s daily governance but I still think our historical roots are worthy of being remembered as our Country’s freedom is a result of many gallant men and women who served under this flag. 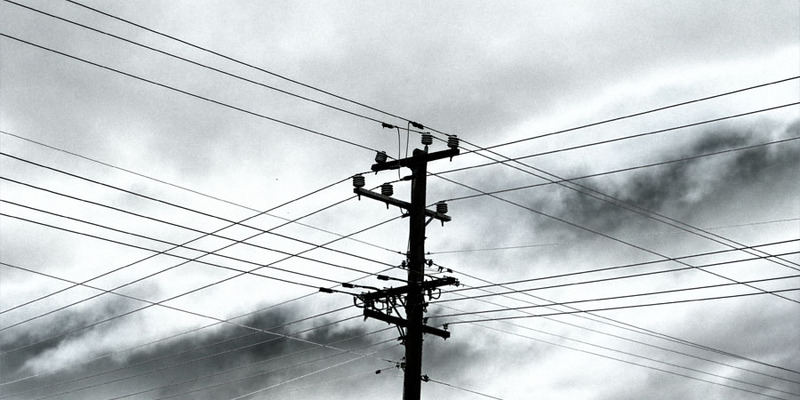 I titled this image dual power because I see the power in the clouds that has the potential to unleash a rain storm and the unseen power that is carried in the power lines. The striking contrast in the clouds always fascinates me as you never really know how much power is stored in them. We may just get some rain tonight. 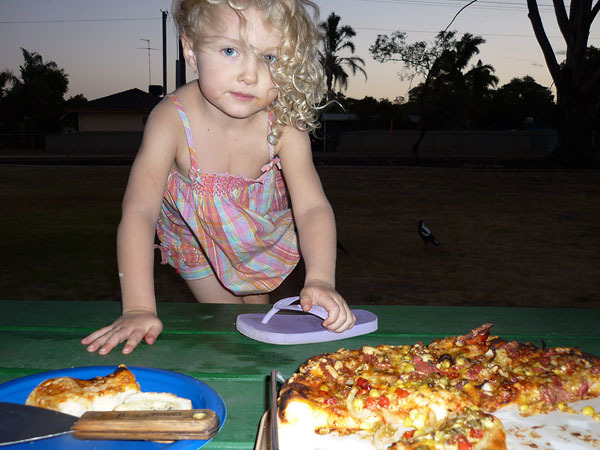 Tonight we decided to bake some home made pizzas and head to the childrens park down the street for dinner. Here Rebekah is poised to help herself to her share. It is my birthday today and we went out for a beautiful dinner. The whole day has been very enjoyable. Thank you Brenda and Rebekah for making it a special day. For all you health conscious people out there I hope you have had a nice healthy meal today. 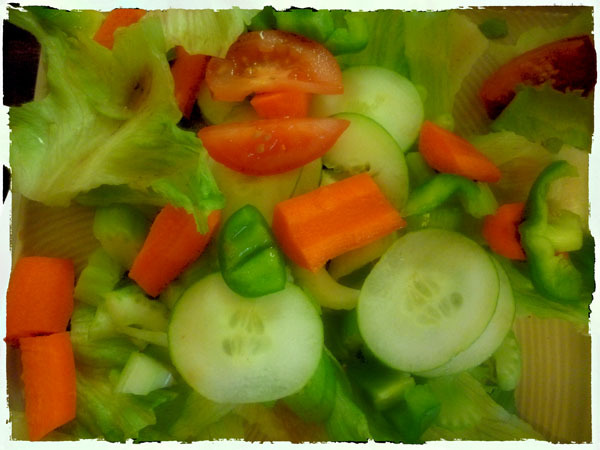 I rather like the variety of colours we get with our different foods to make our meals interesting. In what has been a very busy day, it seemed like there were not enough hours to get everything done. Time marches on no matter what we think or do and we cannot change it’s advancement. 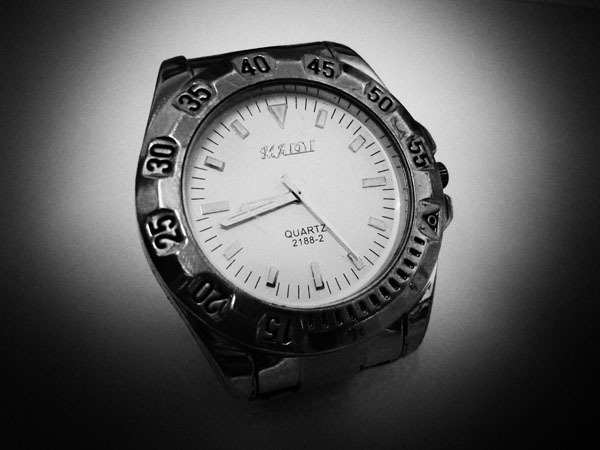 It is up to us to make the right decisions to maximise the time that we have.